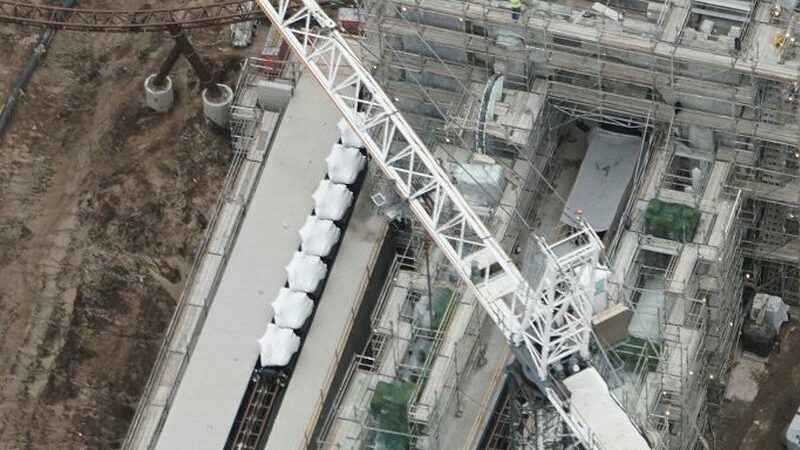 A big milestone in the construction of the new Harry Potter themed roller coaster at Universal’s Islands of Adventure has been reached. 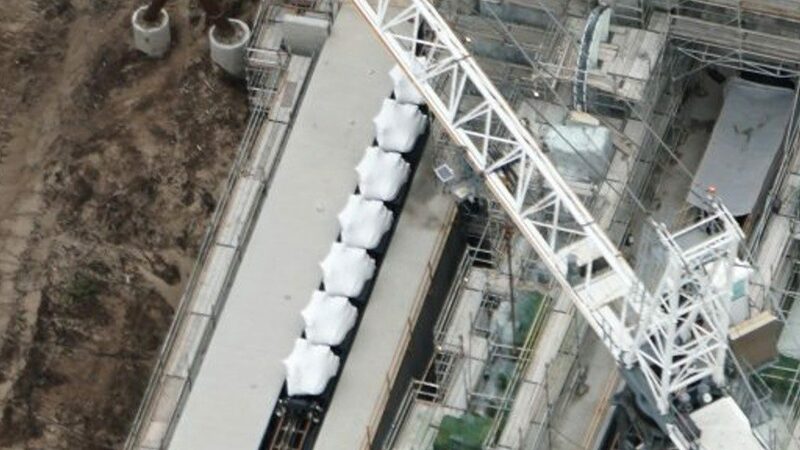 We can now see a full coaster train sitting on the tracks. 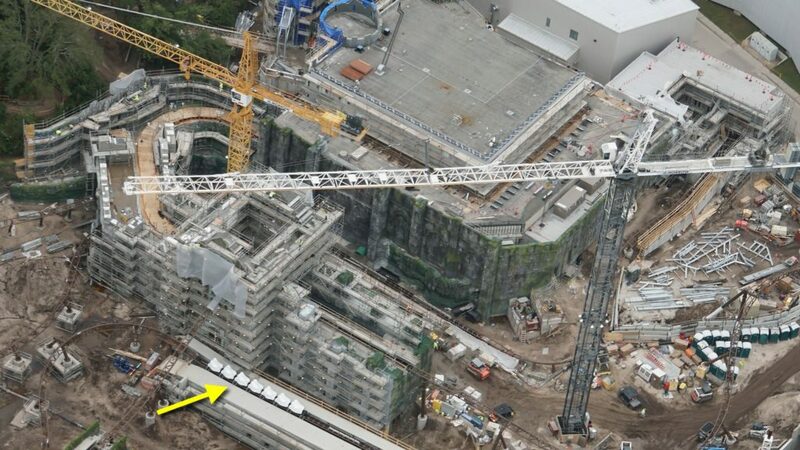 Thanks to the amazing aerial photography of @bioreconstruct, we’re getting our first glimpse at the new train. 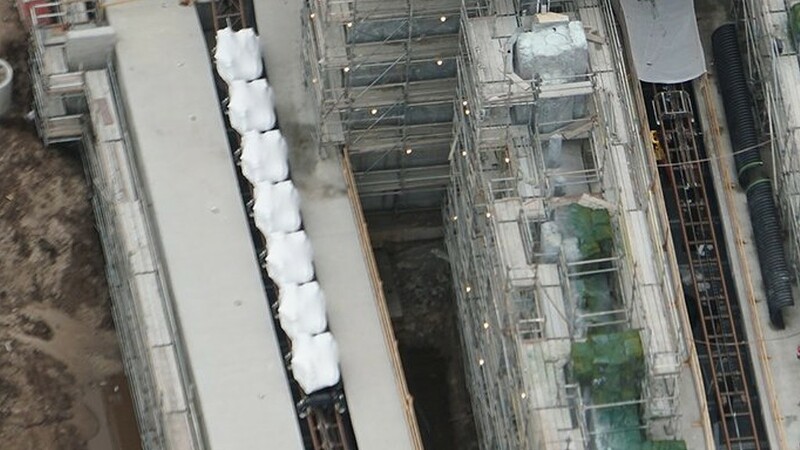 Although the train is covered in plastic, there’s still a lot we can gather from the images. For one, there are 7 cars with two seats each, for a total of 14 seats, something that was rumored earlier this year. 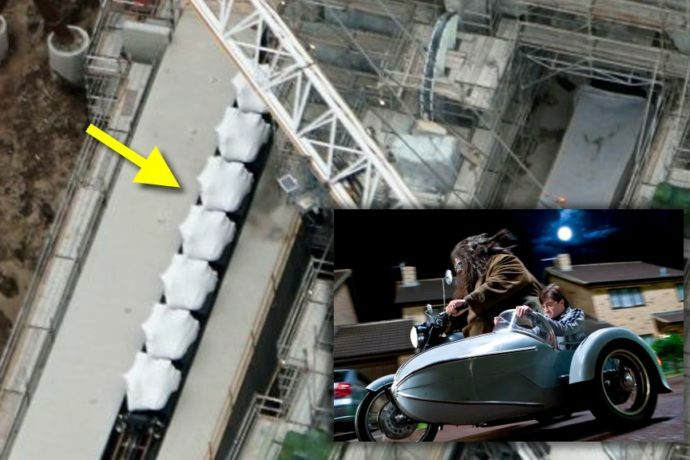 Most striking of all, is that the shape of the two seats are different, and I can’t help but notice that the vehicle bears a striking resemblance to Hagrid’s sidecar motorbike, (however, that does not mean this will be a motorbike coaster). Check out all the photos below as we dig deeper into this exciting development. A lot of folks that have seen these images have mistaken the back for the front. Something to keep in mind is that I believe this ride will have a tall backrest with a headrest. And the tallest part of the ride vehicle are the headrests. With the very steep climb up the spike and subsequent fall, we will need a backrest with head support. 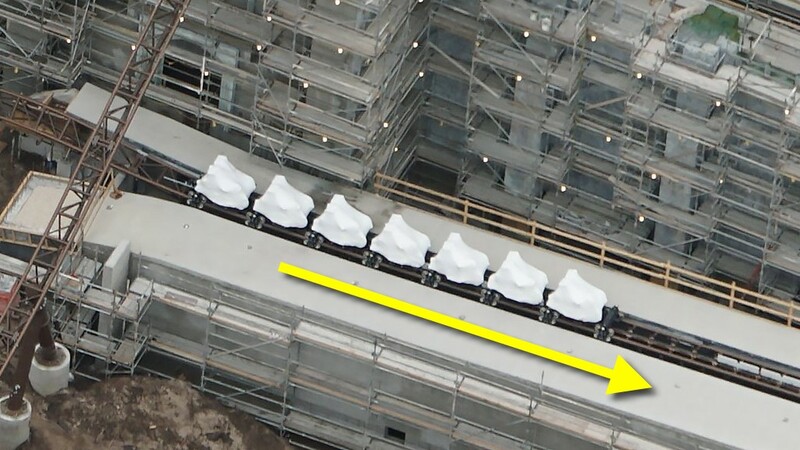 So, while this train is likely themed like a motorbike, it will have high backrests. Now that we know where the head rests are, the tallest part of the seats, we can see that the track layout is still the same as we thought it was going to be. In the image below, the arrow is pointing in the direction that the coaster will travel. Here we can see the raised backrests in the back of each car. You may even notice that one side of seating is slightly lower than the other. 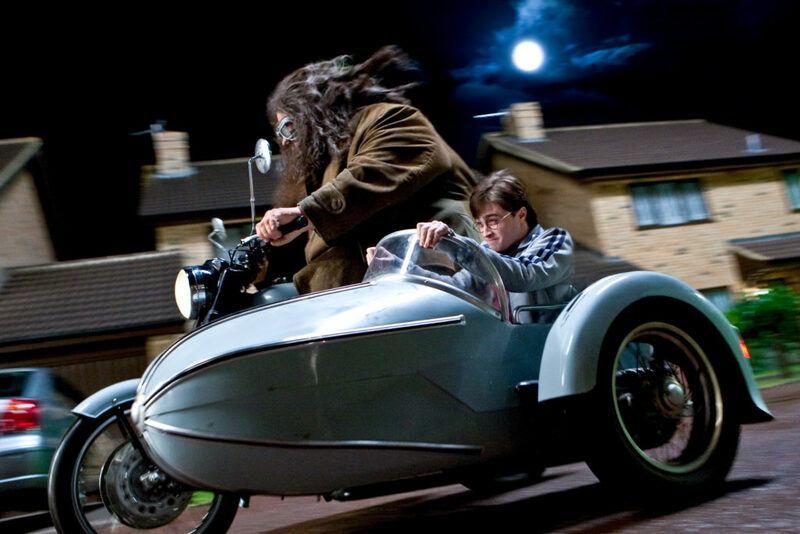 This next image is probably the best for picking out the features that look most like Hagrid’s motorbike and sidecar. See if you can spot them! The seats on the left in this image appear to look like a motorbike, with a headlamp and handlebars visible on the front of each car. The right side looks like the sidecar, with a sloping rounded front, and a wheel visible on the back-right of each car. Both seats have those high back headrests, but the sidecar’s head rest is several inches shorter, making it look like the sidecar sits lower than the motorbike seat. Again though, just because this train will be themed like Hagrid’s motorbike, does NOT mean it will have motorcycle style seating. This will be more like Expedition Everest type seats than Tron Light Cycle Power Run. The theming of the train will make it look like a bike, but you WILL NOT be seated forward like on Tron. There WILL NOT be leg braces like Tron. 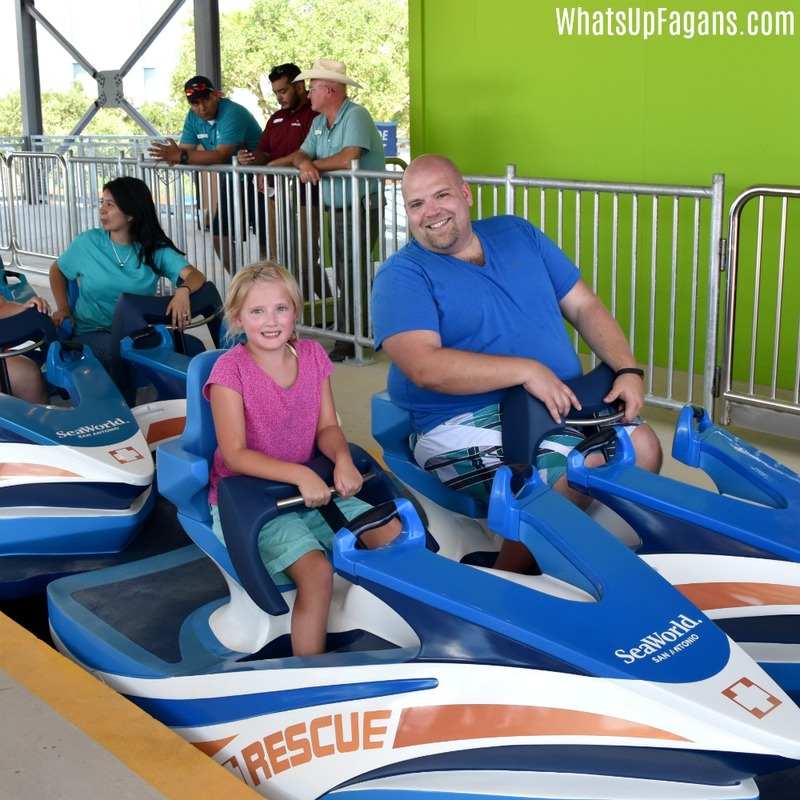 Instead, it may be more akin to SeaWorld Antonio’s Wave Breaker, where you are still seated upright in a seat. Although, this ride may be even less bike-like than that, omitting the bump in the middle of your seat. The Potter Coaster will have much higher backrests too, so your head doesn’t get hurt on this ride! What’s exciting about the prospects of this ride taking place on Hagrid’s motorbike, is that it could explain the spaced out launch fins along the track. Perhaps our bikes are sputtering to life with each launch. And as many have speculated, the rise up the spike and then fall backwards could be due to Hagrid’s bike stalling out, as it often does. We should be getting some more official news on the new coaster early in the new year, but stay tuned to the site for our next massive construction update and rumor news in the coming weeks! 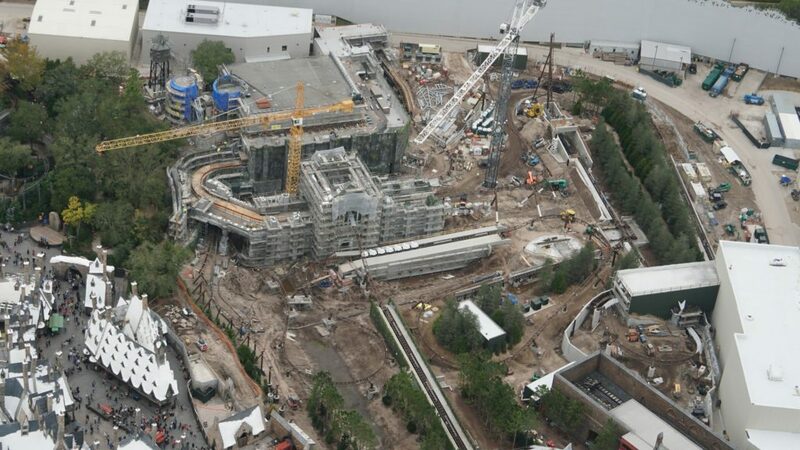 Special thanks to @bioreconstruct for the unbelievable aerial photos. Be sure to check him out on Twitter to see all of the amazing shots of the new coaster, including some new themed elements featuring moss and decaying ruins. Check out our podcast episode for lots more ride details. The new coaster is expected to open in the summer of 2019. For help booking your next trip to Universal Orlando request your free quote from Elizabeth at Destinations in Florida today! She’ll help you plan the perfect vacation with the best rates on ticket packages and on-site hotels, and her services are totally FREE to you.